In stock - low quantity. Order in the next 7 hours, 29 minutes and it will go out today! A truly mystifying effect that will puzzle them for a long time to come! 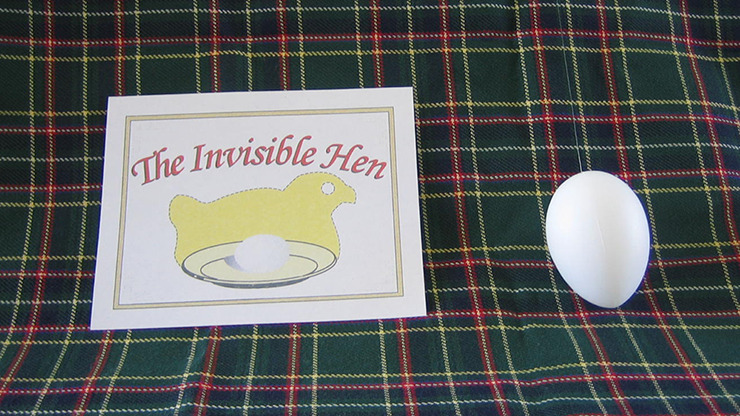 In The Invisible Hen, the magician shows an empty hat and then a simple cloth on both sides. However, when he folds the cloth in half, and egg comes tumbling out into the hat! This can be repeated again and again, until finally the hat is turned over and shown empty! They won't know what happened to all those eggs! Purchase yours today! Includes egg, cloth and written instructions.